For glaze, in a small bowl, mix jam, soy sauce, garlic and ginger. Cut vegetables and pork into 1-in. pieces. 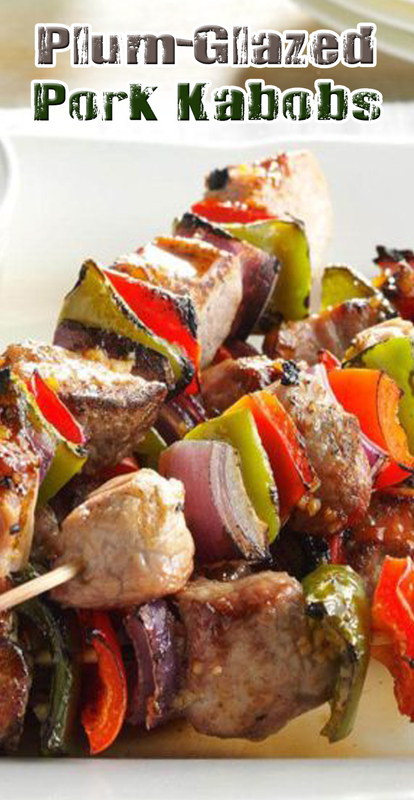 On six metal or soaked wooden skewers, alternately thread pork and vegetables. On a lightly greased grill rack, grill kabobs, covered, over medium heat 12-15 minutes or until pork is tender, turning occasionally and brushing with 1/4 cup glaze during the last 5 minutes. Brush with remaining glaze before serving.